I had used to believe that stocks delivered superior returns compared to bonds. 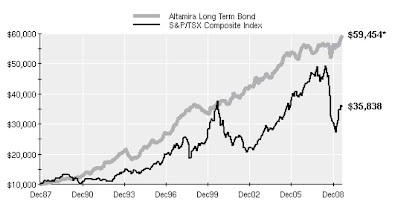 I looked at the following graph and realized that long term Canadian bonds had delivered twice the returns of Canadian stocks since 1987. 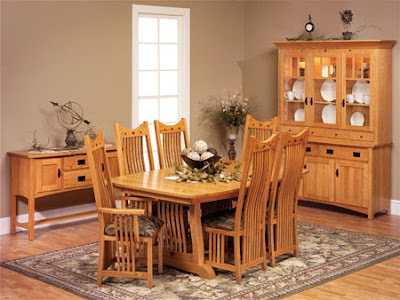 It is particularly relevant since the Canadian market had been on a tear the last few years because of commodities. Most market participants today still expect a positive risk premium for stocks even if extrapolating from recent past events results in confounding this expectation. I expect bonds to deliver better or equal real returns with fewer risks than stocks going forward. Negative risk premium is the new normal and new behavioral shifts strongly underpin that case. You create a spread of 4% or better between the Fed fund and the long bonds and in turn that becomes a trading buy signal. We had such a signal and ran with it. 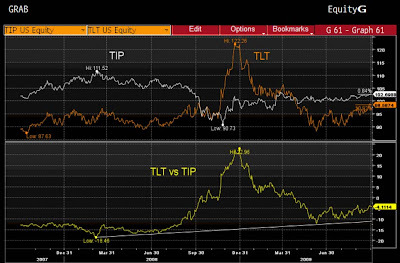 In this next graph, I use TLT as a proxy for long term bonds and TIP as the proxy to represent the Treasury inflation protected bonds. The recent recovery points to TLT showing greater strength and the clear conclusion is one of deflation reasserting itself or the lack of inflation thereof. 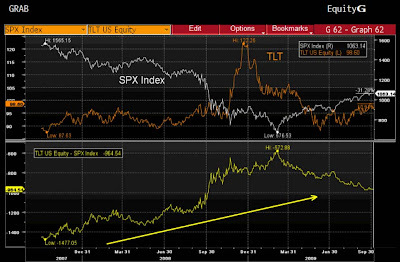 In a negative risk premium world you would expect to have bonds outperform stocks for total return and the yellow line here (below) where bonds are compared to the S&P500 is definitely up. From both charts long bonds are definitely turning up or have put in a good base from which to launch upward. In reference to behavior, it’s become clear that investors attitude are changing and the new normal is not to invest one’s savings in stocks rather that money is flowing to bonds. Recent data points to exactly this type of behavior and perhaps getting trounced once is enough for a certain legion of investors but not all. As we had seen in 2000 in every drop of stocks, we are slowly loosing participants to join in this exuberant party. Investors who miss out this time are also assured of not feeling any party hangover. The opinions contained in this report are those of the author and are not necessarily those of Blackmont Capital Inc.. Every effort has been made to ensure that the contents of this document have been compiled or derived from sources believed to be reliable and contains information and opinions which are accurate and complete. However, neither the author nor BCI makes any representation or warranty, expressed or implied, in respect thereof, or takes any responsibility for any errors or omissions which may be contained herein or accepts any liability whatsoever for any loss arising from any use of or reliance on this report or its contents. BCI is an independently owned subsidiary of CIFinancial. CI Financial is a Canadian owned diversified wealth management firm, publicly traded on the TSX under the symbol CIX. Blackmont Capital Inc. is a member of CIPF and IIROC.